There has been $9 billion worth of crowd land sold under the NSW government. The waterfront property selling for $38,000 is just the tip of a very questionable iceberg. Crown Land covers more than 40% of the state, and is inaccurately named. While the land is technically owned by “The Crown” or the state of NSW, it is public land, held on trust for the people of NSW. It includes many sites of extraordinary local significance like Hyde Park and Bondi Beach, as well as places of environmental and heritage importance like Jervis Bay State Park. The places we hold dear are often Crown Land, particularly our local parks, coastal reserves and beaches, as well as sporting grounds and camp sites, community halls and town squares. It is therefore essential that there are protections in place that protect Crown Land from sale from an unscrupulous Government seeking to turn a quick buck regardless of the public interest. A recent land sale on the Central Coast has raised significant concerns that these protections are insufficient. In Woy Woy we saw prime public waterfront land on the NSW Central Coast sold in 2015 for just $38,000, significantly below its real value, and despite internal valuations putting it at least $120,000. This 1,100 metre square site would seem to represent extraordinary value at even that price given residential blocks half that size sold for at least twice as much. The land sale was negotiated behind closed doors without going to market to see what a fair price might be. 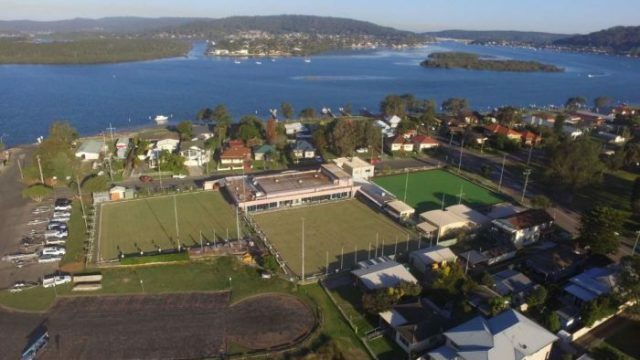 Once the deal was done the proposed sale was only advertised in a small local newspaper, published a five-hour drive from the site in Batemans Bay, in likely breach of legal requirements under the Crown Lands Act. The Crown Lands Act requires notification in a newspaper, but not just any paper, it is meant to be in a state-wide publication or one that is prominent in the area of the proposed land sale. Not a newspaper published hundreds of kilometres away. Recklessly selling public assets for a fraction of their value is little more than theft… The sale raises concerns about the integrity of public lands sales under the NSW Coalition Government. We know from the 2017 Budget Estimates hearings that an estimated $9.14 billion of public land had been sold since the Liberal National Coalition Government came into power. If the undervaluing we saw at Woy Woy is systemic, and we have no reason to believe it’s not, then this $9.14 billion likely represents billions more to lost value from the Coalition’s public land fire sale. Across NSW we have seen bowling clubs like the one in Woy Woy being sold off for development. Residents are losing community meeting places and green open space, and in return are seeing blocky buildings built boundary to boundary. Private gain, public pain, time after time. The sale raises grave concerns about the integrity of the remainder of the $9 billion plus in public lands sales that have occurred under the NSW Coalition Government. This government’s multi-billion dollar fire sale of public land has robbed New South Wales residents of public assets and a fair return. Coalition Governments often trumpet their credentials as economic managers, but recklessly selling public assets and doing so for a fraction of their value is little more than theft. We have uncovered these failings after constant digging for the truth and we now need ICAC to look at not just this sale, but the thousands of other public sites sold off by the Coalition. The people of NSW are ready to kick out a Government that is trying to sell the ground off from underneath our feet.